Beautiful headscarf with waffle effect around the rim. Scarf is fully lined and fastens with one simple knot at the back. 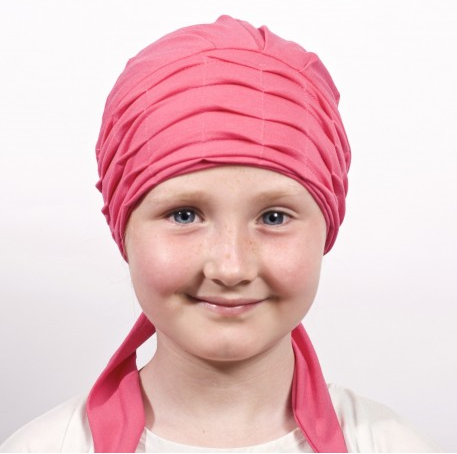 Our children's headwear will fit from 0-13 years due to the ultra stretch in the materials we use. If you are concerned that your child may have a slightly smaller or larger head please get in touch and we can make to the exact head measurements you provide at no extra charge.